Welcome to Babies love baby gyms, but did you actually know all the reasons why baby gyms are good for them? - Maternity, Baby and Toddlers. Babies love baby gyms, but did you actually know all the reasons why baby gyms are good for them? The benefits of baby gyms. Just after a few weeks you baby is born, he/she will discover that he can make things happen, mostly by accident. They will learn to do thing by doing it over and over again. When your baby repeat an action which he/she first did by chance and then intentionally repeats that action for fun, means he/she developing cognitive skills. It is one of the most important skill that helps them understand logic, and the cause and effect of their actions. Babies are born with so called "near-sighted" vision, when they can only perceive objects from very close by, from 20 - 30 cm. 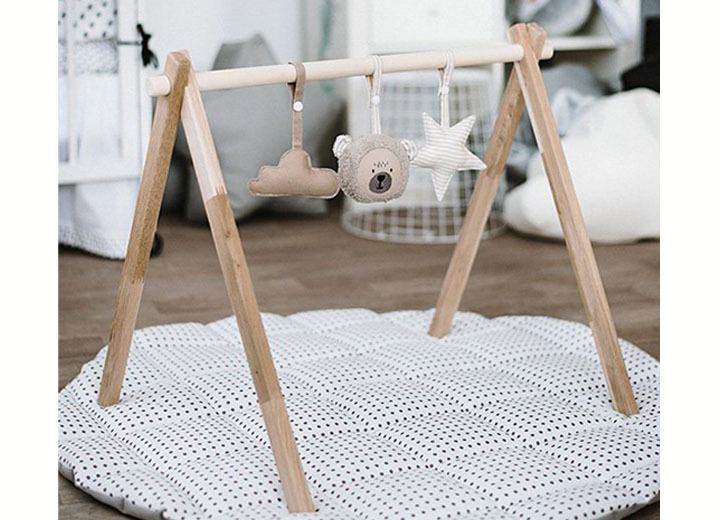 Baby gyms are the best set up to nourish babies eye development, as the toys are just at the right distance to help babies develop depth perception. In the first couple of months your baby develops two types of motor skills: fine motor skills and gross motor skills. Gross motor skills require the whole body to move to be able to perform movements, such as walking, crawling, sitting, jumping. This also includes eye-hand coordination movements, such as catching and kicking. 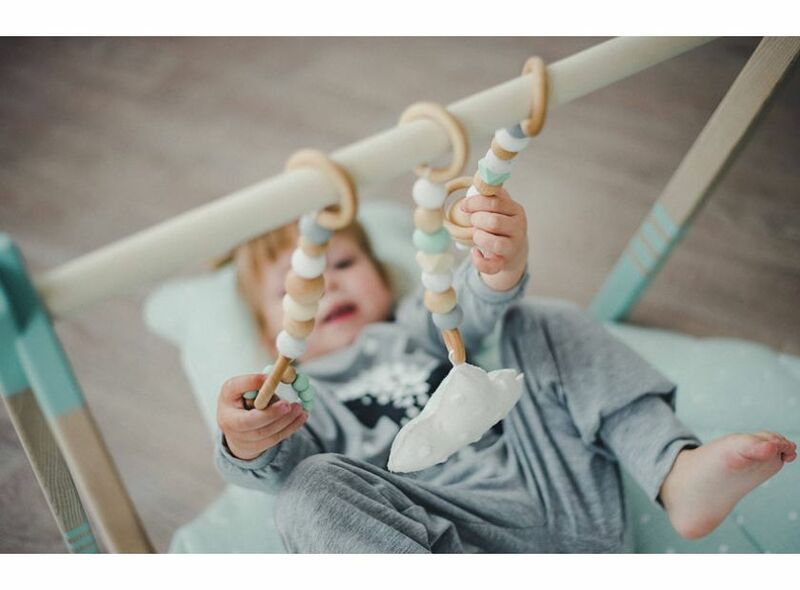 Baby gyms are great toys to help babies sync their nerve system and muscles to learn how to kick and catch and therefore also to develop gross motor skills. Whilst your baby is on the play mat with the baby gym is also a good idea to give your baby tummy time. Practising tummy time every day also helps developing functional strength and gross motor skills. Your baby will naturally start trying to lift his head to see what is going on, help developing strong neck muscles. Spend some tummy time everyday with your baby. Start with a couple of minutes every day, and increase it to a minimum of 15 minutes, when they are two months old. By 4 months they should spend around 4 hours and at least 80 minutes on their tummy and make sure they have at least 2 hours break between every tummy time. 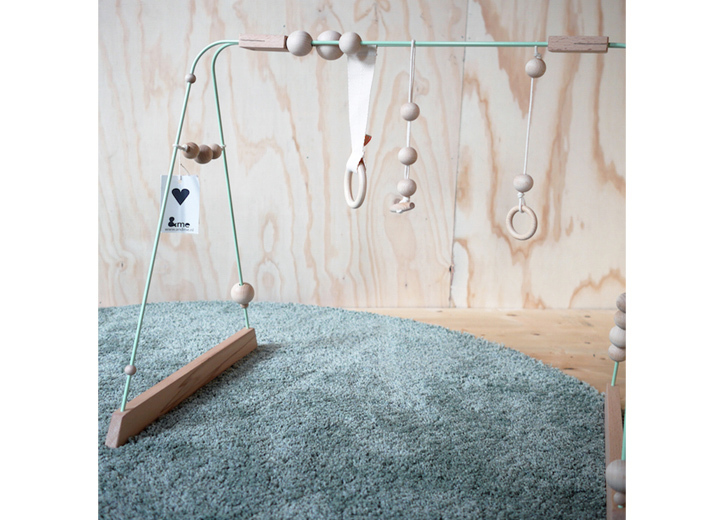 Most baby gyms have music or rattle toys, teething toys and toys with different texture or colours hanging on the gym stand. These different toys are extremely helpful to develop your baby’s ability to search for sounds and colours with their eyes and being able to catch the right toy with practice. Baby gyms are suitable from birth and your baby will learn so much and have endless fun with it until he can crawl and sit up. 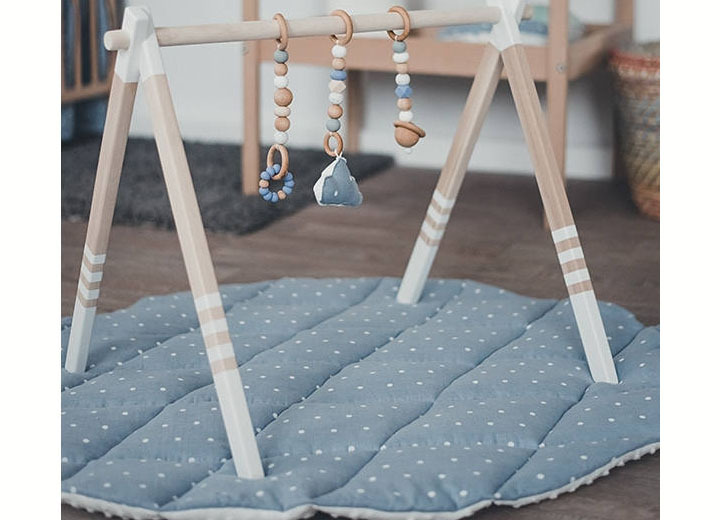 Check out or range of wooden and ecofriendly baby gyms and play mats by clicking on the image.